Around the world, 2019 has been politically intense. In the United States, 16 states are currently bringing a legal case in the federal District Court in San Francisco in response to President Donald Trump declaring a national emergency on February 14th 2019 over an alleged crisis at the US-Mexico Border. It has been stated that the $8 billion funding re-allocated to the border wall by this declaration, would be drawn from the Department of Defence’s Drug Interdiction Program and Military Construction Account, the Department of Homeland Security’s Appropriations, and the Treasury Department’s Drug Forfeiture Fund. In the United Kingdom, a no-deal Brexit is growing increasingly likely, and Prime Minister Theresa May has promised to voluntarily stand down by the next general election. Here in Australia, the NSW State Election is scheduled for March 23rd 2019, with the incumbent Liberal Party led by Gladys Berejiklian campaigning on its record of capital works, including the new Sydney Metro. On the opposition, the Labor Party led by Michael Daley is campaigning on an increased focus towards schools and hospitals and a promise to end plans of the replacement of the T3 Bankstown Line with single-decker Metro. In the world of technology, the Samsung Galaxy Fold was unveiled at a price of $1980 USD (around $2800 AUD), setting the scene for the spread of foldable phones. At NSBHS Visions, we also hope you enjoyed the opportunity to explore myNSB Android at our LEAP stall. In this edition, we have an interview with some of our new Year 7s from their first few days at school. We then dive into Blockchain with Sidharth Manoj Kumar. We look at an anonymous writer’s support of the anime One Piece. We then decipher the Freedoms of the Air, a fundamental legal aspect of every international flight in the world. After that, we discuss Maths and teaching with NSB 2012 alumnus Jonathan Kim Sing. Finally, we listen to Sumedh Kundu’s opinion of The Media - A Double Edged Sword. Thank you to our writers, interviewers, editors and formatters for making this edition of The 4U Paper amazing! I also would like to welcome Dominic Cheung and Jonathan Yeo in Year 10 into our 2019 4U Formatting Team. 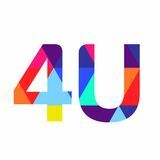 Our entire 4U Team is important to each publication and we couldn’t have done it without them. Do keep in mind the views and opinions expressed in these articles and interviews and do not necessarily reflect those of NSBHS Visions, North Sydney Boys High School or the NSW Department of Education. YouTube Rewind was meant to be an annual celebration of its creators, YouTube culture, and major trends and events that had occurred in that year. For the most part, Rewind was met with positive critical reception for its representation of YouTube. It became a tradition for YouTube to upload annual Rewinds, and subsequently, it became an honour for YouTube creators to be featured in Rewind. However, 2018’s YouTube Rewind has been met with overwhelmingly negative reception. Within 6 days and 10 hours of its initial upload, it had surpassed Justin Bieber’s ‘Baby’ to become the most-disliked YouTube video in history. As of time of writing, Rewind has reached over 15 million dislikes. A welcomed and celebrated community event has drastically transitioned into a despised and ridiculed video, which felt lacklustre in comparison to previous episodes in the series. To understand this drastic transition, we must first understand YouTube’s relationship with advertisers. As a platform providing free content, YouTube relies on advertisers in order to compensate creators and to generate revenue. Primarily, YouTube is a company about pairing advertisers with content creators. The YouTube ecosystem relies on three main parties: creators, audiences, and advertisers. When one party is pulled out of the cycle, the entire ecosystem collapses and all parties are ultimately affected. The Timeline of Demonetisation and the Adpocalypse Pre-Adpocalypse (2016 - Early 2017) YouTube began demonetisation as early as 2016, when the first advertiser-friendly guidelines were introduced. Particular content creators could no longer monetise their videos as reliably as before. Demonetisation was usually seen as more of a hindrance for the large majority of content creators rather than a catastrophic risk to their income. On the 9th of February 2017, The Times reported that YouTube was displaying advertisements along videos from terrorist organisations and other hateful content. YouTube responded by implementing additional exclusion options on potentially objectionable or mature content. Content creators who produce videos that are considered not family-friendly (videos that would be considered a mature rating or above) would be open to demonetisation. PewDiePie (Early 2017) On January 11 2017, PewDiePie, the most subscribed YouTuber, uploaded a video, satirical in nature, that was meant to ridicule the extremes that freelancers on Fiverr would take. PewDiePie, known for his amateur and improvisational acts, decided to pay two freelancers from India to hold up an anti-semitic sign in a video. would take drastic action to ensure brand safety on their platform. As a result, 250 major brands including Coca-Cola, Walmart, AT&T, McDonald’s, Toyota, and Johnson & Johnson, pulled their ads from YouTube. The brands pulled out in fear of potential association with this objectionable content, and in part, to provide them some leverage against YouTube to lower their prices for serving ads. The events following the Adpocalypse were drastic to the creator community, as creators were forced to adapt their content to meet YouTube’s monetisation guidelines in order to acquire ad revenue. Logan Paul (Early 2018) During this time, Logan Paul, along with his brother, Jake Paul, was growing incredibly quickly. Jake Paul’s music video, ‘It’s Everyday Bro’ has currently amassed 223 million views, whilst Logan Paul’s diss track, ‘The Fall of Jake Paul’ has over 220 million views. Needless to say, the Paul brothers were immensely popular on the platform. Both Logan Paul and Jake Paul’s demographic are young children and most of their content can be considered as family friendly, so it was no surprise that YouTube would be promoting them. Giving them both YouTube Red (now YouTube Premium) shows, Google Preferred, and major features in 2017’s YouTube Rewind, YouTube was favouring the Paul brothers as a new face of YouTube, replacing PewDiePie after the incident in early 2017. That was until Logan Paul filmed a suicide victim in the Aokigahara forest in Japan, and it all went downhill. Aokigahara is infamous for its associations with death and suicide, and is sometimes referred to as the most popular site for suicide in Japan. Overwhelming negativity was thrown at Logan Paul and immense criticism was thrown at YouTube about why his video was placed on the Trending tab. When outrage and controversy on Twitter became prominent, YouTube subsequently put his YouTube Red series on hold and removed him from Google Preferred. After a week of the controversy, YouTube made a statement on Twitter as part of a five-tweet chain. Various YouTubers and vocal critics point out the irony in ‘we acted accordingly.’ Logan Paul’s video reached the top 10 videos on the Trending page, and when it was flagged by users on YouTube, the content moderator team only age-restricted the video and did not remove it. Instead, it was Logan Paul, not YouTube, who removed the video from the platform. This incident illustrates how YouTube has shifted from being somewhat lenient for favoured creators, to being more strict on enforcement of its own community guidelines and continuous demonetisation. Demonetisation that utilises a faulty machine learning algorithm that uses videos, that content creators rely on to generate an income, as their training data. YouTube Rewind 2018 (Late 2018) Now, with an in depth understanding of demonetisation and YouTube’s strained relationship with advertisers, you can begin to understand YouTube’s perspective and standpoint. YouTube wanted to convert YouTube Rewind into a corporate promotion and showcase for advertisers, displaying family-friendly YouTubers and events that screams ‘brand safety’ in your face. Undoubtedly, many advertisers would be watching YouTube Rewind, as it amasses hundreds of millions of views each video, making it the perfect opportunity to encourage more advertisers onto their platform. Large negativity has been directed towards YouTube and their inability to adapt to the requirements of their own audience, content creators, and advertisers. YouTube must maintain a balance between them in order to maintain its operability. However, many content creators and advertisers have already given up on the platform, instead moving to rivals such as Twitch. The backlash to YouTube Rewind 2018 was caused by YouTube converting Rewind into a shameless promotion for advertisers, in a time where advertising revenue on each video is low, as a result of the Adpocalypse and constant demonetisation. However, by doing so it angered and disappointed its main audiences by demonstrating intentional ignorance to major events and creators prominent in that year. What primary schools did you go to? William: Holsworthy Primary School. Jayden: I went to our Lady Help of Christians Primary School in Epping. Matthew: I went to St John’s Primary School. How was your primary school? William: Boring, the work wasn’t challenging and it was often tedious. Jayden: I liked it from Kindergarten to Year 4, but it got a little hectic in Year 5 and 6. What was your favourite subject? William and Jayden: Maths!! Matthew: I liked English. What made you enjoy that subject? Jayden: I liked it because it is always a straight answer. It has to be either right or wrong. I’m looking forward to Science though, because I have always been interested in how everything works. I am also looking forward to doing experiments in the lab with bunsen burners. Matthew: I hear the practical aspect of Science is fun and interesting. I’m looking forward to that too. English was engaging to me, because one of my passions is reading. How have you settled into NSB William: It has been pretty easy with quite a large number of friends and help from peer support. Jayden: I like NSB and I have received a lot of support from my peer support leaders. Matthew: Alright. I’m making friends and I’m starting to get used to the routines. Did you look forward to coming to NSB William: I was excited, but also a little bit nervous and scared as I was coming to a bigger school. There would be new experiences and a totally different system of lessons. Matthew: I was proud that I got into NSB but I was also nervous as I was changing schools and I wouldn’t have all my old friends. What is blockchain? Blockchain is a way of keeping information secure, and to prevent anyone from making unauthorised changes to the information stored. Blockchain was designed to replace the traditional way of paying and receiving money, that being banks and companies who link a buyer with a seller like PayPal and Google Wallet. Blockchain technology was created to provide a much more secure and safe alternative to these financial institutions. Instead of a third party keeping track of your money, a whole society of people will actively track how much money everyone has. This may sound like it isn’t very private as you will be disclosing your identity to people who may not be honest. However, that is not the case at all as you will see later on. ten minutes or so, the block gets ‘mined’ by another user of the chain after validating that all transactions on that block are genuine. The ‘miner’ usually gets some sort of cash reward for mining the block. For Bitcoin, the reward is Bitcoins, which – as of the time of writing - are worth around $8958 (AUD) each. A blockchain is an example of distributed ledger technology, so everyone has a record of how much money everyone else has. This means that no one can claim to have more money than they actually do. This, combined with the other security capabilities of blockchain, make blockchain a very powerful and secure addition to the internet. Current Financial System vs. Blockchain - The trust difference How would you feel lending money to someone you don’t trust? All the transactions that we make are based on trust. We trust that the banker isn’t stealing our money. We trust that the company isn’t going to fail, so we invest in it. However, by not having trust in people we don’t know, we are also losing a world of opportunities. Blockchain will bring that world of opportunities fully into our grasp. Transaction records put on a blockchain, announce to the world that money has been paid and that the service has to be provided. In the case of an untrustworthy service provider, an entire society keeping track of the chain would exert social pressure on the provider, forcing him to either provide the service or permanently lose his reputation as a trustworthy individual. In this way, trust can be created, opening up more opportunities that are available to the users of the Blockchain. Chain Immutability, Privacy and Further Security - All With Hash Functions Imagine a worldwide database, where once data is added, it can never be removed again. This is a blockchain. Any kind of data, in numerical form or otherwise, is still data which can be put on a blockchain. After it is put on the blockchain, it can never be changed. Blockchain and cryptography experts call this chain immutability. This is done by linking each block with the one before it, using something called a hash. A hash is an unreadable alpha-numeric code which is generated by processing the data in a block and the hash of the previous block. This is called a SHA256 function. Every combination of characters produces a different hash. If someone wants to undertake the ridiculously complex procedure of hacking into the chain, they will have to recalculate the hash of every single block on the chain, change the data of the desired block, and do all of that on every single computer on the chain simultaneously. Even then, there is no guarantee of the hacker not being caught. It’s not just the data which is hashed. Every single user identity will be hashed, and to prove that they are the actual person whom they claim to be, they have to input the right ‘key’ to get the same hash. How does this all apply to the internet? Internet now vs. Web 2.0 Now, the answers to the questions that you’ve been asking since the beginning of this report. How will blockchain be integrated into the internet, and why should I care? Right now, the internet is mainly being used to share information. When you send someone a Word document or a PowerPoint presentation, you’re actually sending them a copy of it, while retaining the original. This is great, because it democratised information, as you still have the intellectual property rights, due to your original copy. However, in a transaction, this is not what we want. If someone gave you $10,000 as a prize, it is very important that you have the actual currency, and that they do not have the $10,000 themselves. This brought on the need for ‘trusted’ middlemen who ‘safely and securely’ transfer money in between bank accounts. In fact, these middlemen can be as dishonest and unfair as a black-market trader. With blockchain and distributed ledger technology, we can cut out the potentially untrustworthy links. We do not even need banks anymore, since we can all link our cash to our public hash code, which is like a user ID. With all the registered cryptocurrencies out there, we won’t even need solid cash! With blockchain, the financial internet could be revolutionised, forming a transparent, trustless, secure, and transaction friendly Web 2.0. One Piece ‘Reaching Number 1 is much easier than keeping it’ and yet in the millions of volumes of manga sold every year, one series rules them all. For the past eleven years, it has never been beaten in sales. It is the third highest selling comic series of all time, behind Batman and Superman. Both series have gone on for fifty years more and yet it still is about to overcome Batman in sales and slowly catching up to Superman. That series is Eichiro Oda’s One Piece and yet after more than twenty years of publication, why is it still so highly loved to this day? How does One Piece dominate? The story follows the travels of a boy called Monkey D. Luffy, who after becoming a pirate inspired by his hero, Red Haired Shanks, sets out on a journey to find a famed treasure called One Piece and become the Pirate King. The appeal of One Piece is its understanding of two things. The idea of exploration and the idea of the journey. Every island that they stop at holds something to discover and explore. Be it a massive sky island, a country filled with sentient toys, or even a massive chain of islands full of sunshine, happiness and all sorts of sweet food. One Piece’s core themes are about freedom and exploration. Exploration of the different, weird and wacky Islands and the exploration of the complete world in the search for One Piece. To this day, One Piece grabs the reader by the collar and never lets go, traversing the magnificent world that Oda has created. With Oda’s brilliant storytelling that consistently improves, twenty years after his first chapter, he keeps every arc new and refreshing and better than every other previous arc. One Piece dominates. And for good reason. The author wishes to remain anonymous. The Freedoms of the Air are a set of rights that countries can choose to give an airline. These rights are fundamental to almost every flight in the 21st century. This means international flights can arrive in another country from the airlineâ&#x20AC;&#x2122;s own country. 1. The right or privilege, in respect of scheduled international air services, granted by one State to another State or States to fly across its territory without landing. This is almost always granted, but countries can charge overflight fees for this Freedom and the use of their radar services. For example, the United States charges $60.07 per hour for flying over their country. 4. The right or privilege, in respect of scheduled international air services, granted by one State to another State to take on, in the territory of the first State, traffic destined for the home State of the carrier. This means international flights can depart from other country to the airlineâ&#x20AC;&#x2122;s own country. 2. The right or privilege, in respect of scheduled international air services, granted by one State to another State or States, to land in its territory for non-traffic purposes. This means that flights are allowed to conduct emergency landings or refuel in another country. In the 20th century when the USSR did not grant the first Freedom of the Air, the United States granted the second Freedom to flights from Japan to Europe, allowing refuelling in Anchorage in Alaska. 5. The right or privilege, in respect of scheduled international air services, granted by one State to another State to put down and to take on, in the territory of the first State, traffic coming from or destined to a third State. This means that an airline can fly outside of its registered country, as long as the flight stops at its registered country at some point. The difference between this Freedom and the Second Freedom is that here, the airline is allowed to book passengers not continuing onwards to the registered country. For example, Cathay Pacific Flight 888 flies from Hong Kong (HKG) to Vancouver (YVR) where more passengers can board, before continuing onto New York (JFK). 6. The right or privilege, in respect of scheduled international air services, of transporting, via the home State of the carrier, traffic moving between two other States. This is essentially a formal way of allowing airlines to transfer passengers between flights and is almost universal. 7. The right or privilege, in respect of scheduled international air services, granted by one State to another State, of transporting traffic between the territory of the granting State and any third State with no requirement to include on such operation any point in the territory of the recipient State. That is, the service need not connect to or be an extension of any service to or from the home State of the carrier. This means that a foreign airline is allowed to fly between two foreign countries directly. For example, Air France flying between Sydney (SYD) and Auckland (AKL), even though it has no flights to either of those cities. This is almost never granted because it negatively impacts local airlines. However, nowadays with the rise of 20 hour flights, this is no longer necessary. One of the only places that this freedom is found is with Qantas and their Sydney to New York flights which due to how far planes can fly is currently impossible direct, so Qantas uses this freedom to stop in Los Angeles and then carry onto New York. 8. The right or privilege, in respect of scheduled international air services, of transporting cabotage traffic between two points in the territory of the granting State on a service which originates or terminates in the home country of the foreign carrier or (in connection with the so-called Seventh Freedom of the Air) outside the territory of the granting State. This allows airlines to fly between two cities in a foreign country while continuing onto its own. In the 20th Century, this was relatively common, due to limitations with how far a plane could fly. For example, the famous Kangaroo Route between Sydney and London having up to 7 stops. 9. The right or privilege of transporting cabotage traffic of the granting State on a service performed entirely within the territory of the granting State. This Freedom is even more rarely granted to airlines, allowing them to fly directly between two cities in a foreign country. An example of this would be if United Airlines based in the US were to fly directly between Adelaide and Perth. One of the only places that this is found is within the European Union as they have a single aviation market and airlines such as Ryanair can fly domestic routes like Berlin to Munich and Manchester to London. that we get our impressions of teachers or a career as a teacher is what’s happening at home. How do parents and students react to teachers, do they respect them? Those kind of conversations are really what is going to strike us and have more of an impact. one defining factor of how you progress through life, but it’s definitely not the only way. I’ve seen students at my school who are successful. If you want to make lots of money, there are many jobs that provide that, that aren’t just through tertiary education. Since you were a student at a selective high school and are teaching at a comprehensive high school, what are the main differences you notice? What are your fondest memories of NSB? be a good teacher, but I think it’s a start. Is working with students who are younger than me something that I’d really love to do? Something that’s thrown around a lot when choosing a career is if it is something you are passionate about, and I think it’s really tricky for a high school student because, for most of their lives, they’ve been told you have to study this subject. Even when they can choose subjects, they are still met with ‘Studying this subject is better than studying that subject.’ So I think it’s very difficult for a student to find their passion. A better piece of advice would be that passion is formed over time, so trying something and sticking at it for a lot and seeing things that you love. When you find a job, you won’t love every aspect of it. For me, teaching is something that is rewarding overall. Even if you don’t choose to become a teacher when you finish, but is something that’s at the back of your mind. Nowadays there are a lot of people who have gone through a degree or have already started working in another industry, and teaching is still something at the back of their mind. I think there are still pathways to that. Even for those students who didn’t choose it outright but are thinking about it later down the track, that’s somewhere that they would like to go. There are always pathways for them. A Double-Edged Sword by Sumedh Kundu ‘The media is responsible for the demise of politician after politician, sportstar after sportstar and actor after actor.’ In the last eighteen years, only one Prime Minister in Australia has held office for a full term. You might remember Malcolm Turnbull losing his job as Prime Minister last year. Many people around Australia wanted to know why. Peter Dutton was one of Malcolm Turnbull’s closest ministers, so why did Dutton suddenly become a wrecking ball in Parliament? The media may have played a part in this as well. Fairfax Media (now owned by Nine) published an article stating that it would be impossible for Malcolm Turnbull to win the 2019 election despite being preferred Prime Minister by over 20% and only trailing the Labor Party 49-51 in the polls. Back in 2016, the Liberals had two-party preferred polls of 4852 and yet still won. With these statistics, I struggle to understand why the more right-leaning faction of the Liberal Party would want to knife their own leader in the back. Some say this was because of the Liberal Party’s loss in Longman, but Longman has never historically been a safe seat for the Liberal Party. Some say it was orchestrated by Tony Abbott, but in the end, there were many different causes. The media applied pressure on the Liberal Party after they lost 30 news polls in a row, which had been the catalyst for the challenge on Tony Abbott in 2014. While each of these factors along with his controversial stance on climate change all contributed to the demise of Malcolm Turnbull, these factors also involved the media. The second incident I would like to talk about is the ball tampering incident last year. I believe the twelve month bans handed to Steve Smith and David Warner along with the nine month ban to Cameron Bancroft, were not fair to any of the three players. What is often forgotten in this discussion is that ball tampering happens very often in cricket. In fact only one month after the events in Cape Town Dinesh Chandimal and the Sri Lankan team were found to be ball tampering in a test match against the West Indies cricket team. Dinesh Chandimal didn’t receive a fine or a ban. Why was there a disparity between these players’ punishments? My answer, again, is the media. Before the bans were handed out to the trio, the media had published articles stating the leadership position of Steve Smith was untenable and he should face a life ban as he had thrown a fellow teammate, Cameron Bancroft under the bus. Cricket Australia held an investigation into the matter and came up with a ruling which I feel was influenced by the media. When Steve Smith returned to Sydney, he was in tears. That was what it took for the media to finally have a positive outlook on Smith. The world has changed and the media has enabled everyone’s opinions to be altered just by looking at a screen. The media is a double-edged sword and everyone needs to be mindful of that. Do keep in mind the views and opinions expressed in articles submitted to The 4U Paper do not necessarily reflect those of NSBHS Visions, North Sydney Boys High School or the NSW Department of Education.